Take this sweet little "Isn't She Lovely" Hattitude necklace 'Blossom into Fall' which is fantastic for the fall with it's flower vintage pendant. 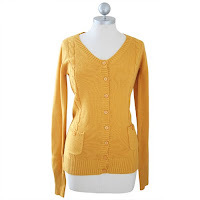 Throw it on with a white or brown tank with a long yellow cardigan with wicked buttons (not happy with your cardigans current buttons, go to fabric land or the flea market and pick out some awesome retro ones and sew them on yourself, 10 minutes tops!) 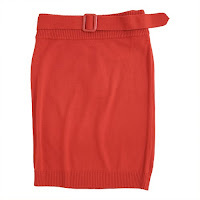 Tuck your tank into this cute little red high-waisted skirt. Throw on some knee high boots and you have a kickin outfit for the fall!